No ratchet head screw to bend, rust or jam. MAINTENANCE FREE — Powder Coat Finish. ALWAYS use two jacks at the front of each trailer for good stability. A single jack in the center will not prevent side-tipping. 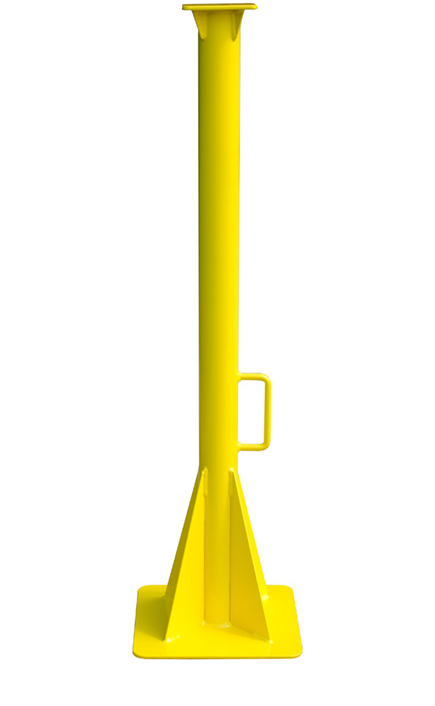 If one or both of the legs give way, a single jack in front will act as a fulcrum and not be able to overcome the tipping action. Trailer must be secured with dock lock or wheel locks. Instead of adjusting the stabilizer to the height of the trailer, use the landing leg handle to adjust the trailer to the stabilizers! Most trailers dropped off at a dock are 46” above the pavement. 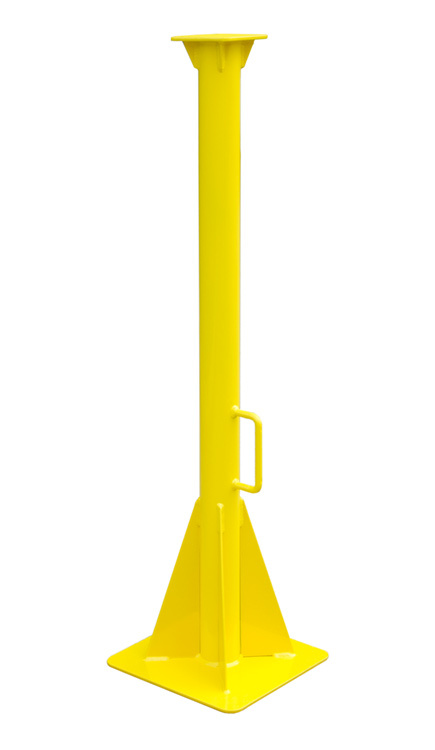 Our 45” Fixed Height Stabilizers slip in easily under the nose. 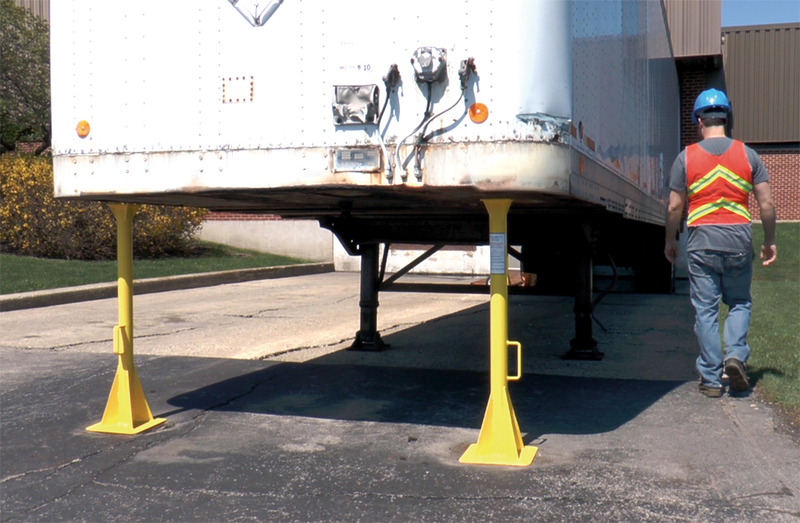 To adjust trailer nose up or down, use low gear setting of landing legs handle. 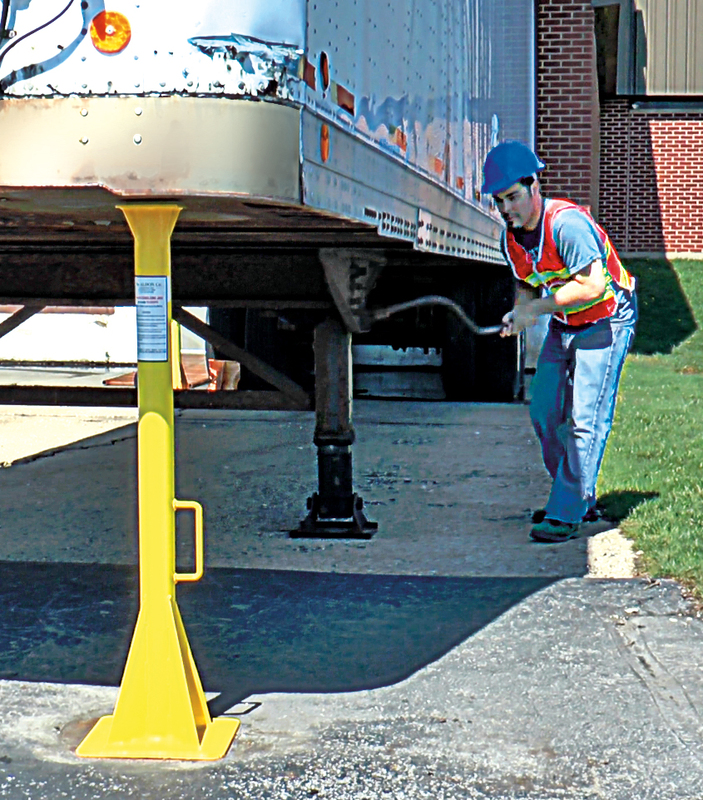 It takes less than 30 seconds to lower 1" and less than 10 seconds to raise 1/4" to remove jacks.